We used data and science to determine the places in Oregon where everyone sleeps safe and sound. Editor's Note: This article has been update for 2019. This is our fifth time rankings the safest places to live in Oregon. Need to finish looking through these numbers while we get off our fixed gear, sip our craft brew, and scarf down our avocado toast. Sounds like the Oregon dream to me. And what's the occasion you might ask? Why we just determined the safest places in Oregon to call home for the fifth time. Yep, the fifth time. This was actually one of the very first articles we ever wrote on this site, so it brings back some good memories. 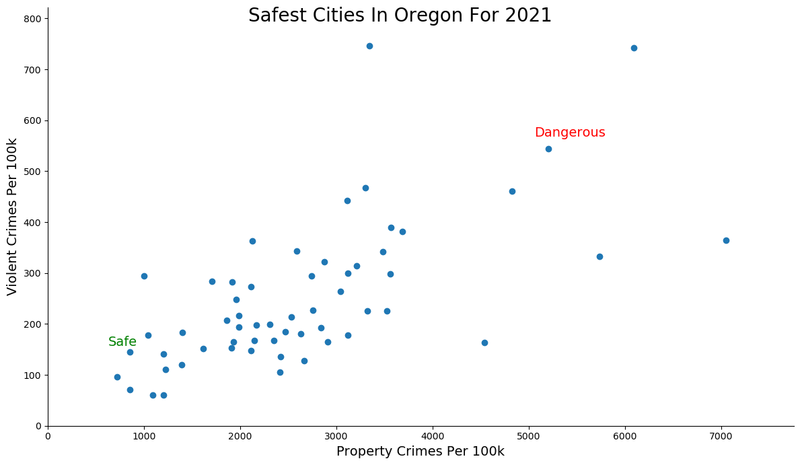 But enough about us, you're here to learn about the safest cities in Oregon and that's what we're going to do -- take a look at the property crime and violent crime rates of the biggest places to live around Oregon. And just like the total lack of sales tax in Oregon, the numbers you see here are directly from the FBI's crime data for 58 Oregon cities with a population of more than 5,000 without any unexpected changes at the cash register. And we won't sugar coat the results. No fake news or added ingredients, just organic, grass fed data. And while other sites might think that they can give you good stuff, remember that we at HomeSnacks are the hipsters of ranking cities -- doing it since before it was cool. Just don't expect to see Portland on the list; while it's awesome and weird, it's the Portland suburbs that are safe. 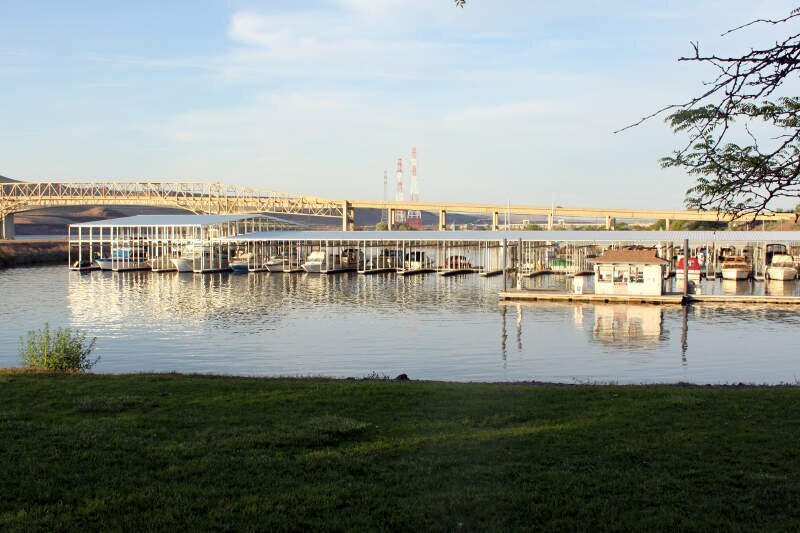 If you're looking for a safe and sound place to call home in the Beaver state where you can leave your doors open at night and not worry, these places should top your wish list. What's the safest place to live in Oregon? According to the most recent FBI data, Junction city ranks as the safest place in Oregon on a property and violent crime rate basis -- for the second year in a row no less. So buckle up your seat belt, look both ways, and follow along as we show you how we determined the safest cities in Oregon and than take a detailed drive through the top ten. And remember, you have to let someone else pump your gas in Oregon, or you'll be adding on to the crime statistics for your city. While there are surveys and public polls on what cities in a state are the safest, we didn't want to rely on speculation and opinion. Instead, we looked at the hard numbers from the FBI's most recent report of crime (Sept 2018) in Oregon. 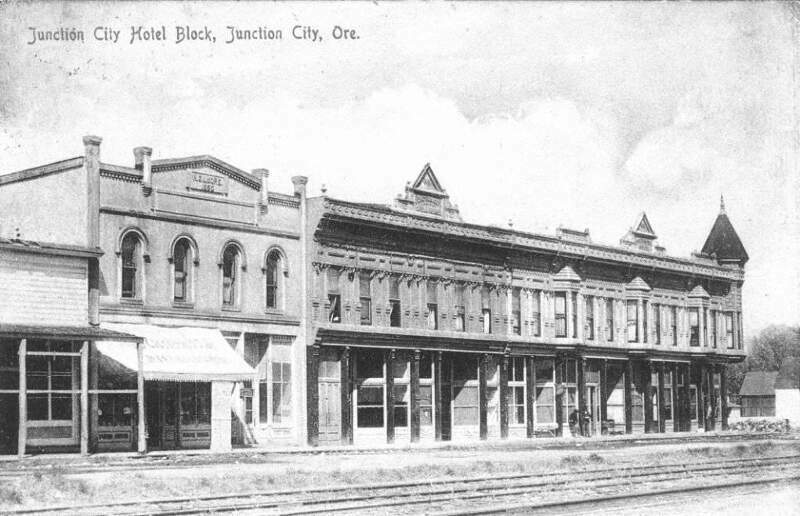 For example, there were a total of 14 crimes committed in Junction City which had a reported population of 6,174. That means the number of crimes per capita is 0.0023 which translates into a 1 in 441 chance of being the victim of a crime. We only looked at cities that have populations of more than 5,000 people reported to the FBI in 2017. This left us with a total of 58 of the biggest cities in Oregon to rank. We ranked each city for each criteria from 1 to 58 where 1 in any particular category is the safest. Next, we averaged each places two criteria to create a Safety Index. We crowned the place with the lowest overall Safety Score "The Safest Place In Oregon". The safest city, based on our criteria, is Junction City. The most dangerous city in Oregon? Seaside, where residents had a 1 in 15 chance of being the victim of a crime. Note: This report is not an analysis of the effectiveness of local police departments, nor does it reflect the fact that people from out of town may come into a community and cause a crime. It simply looks at where crimes occurred most frequently, based on a city's population. 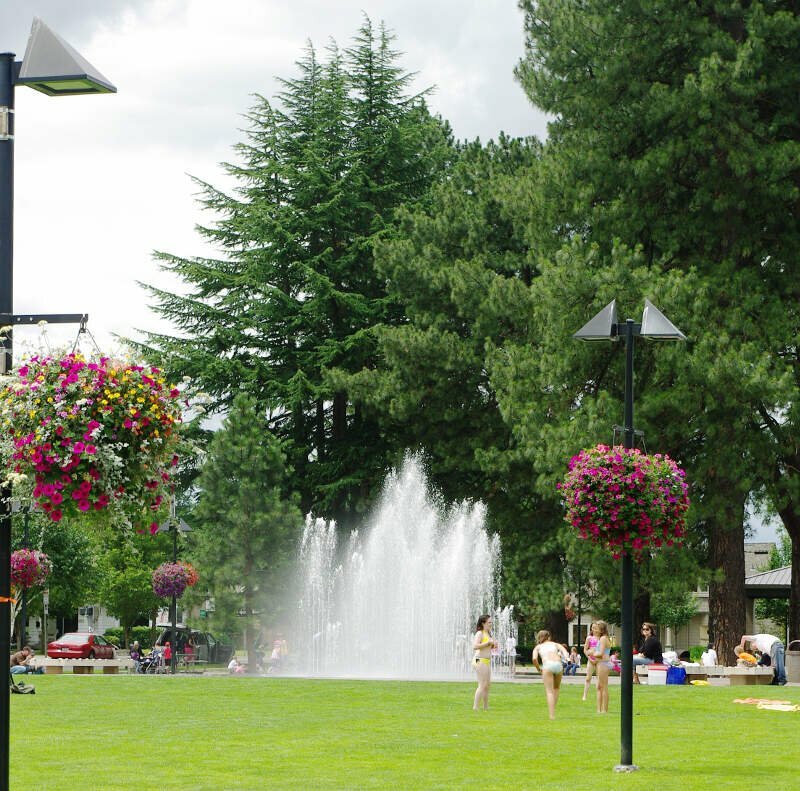 Junction City pulls off the back to back top place finish for the safest city in Oregon -- winning the spot in both 2018 and 2019. That's to a clean sweep for both property crime and violent crime, it dominates this year's list. And to be clear, that's no easy feat. I've been writing these rankings for over five years now and very rarely will a city take the to spot for both violent and property crime in the same state. Located on the western side of the state, a good portion of the economy comes from some rather large family farms. I guess it's the kind of place where you'll always know your farming neighbor and wouldn't put a finger on them. 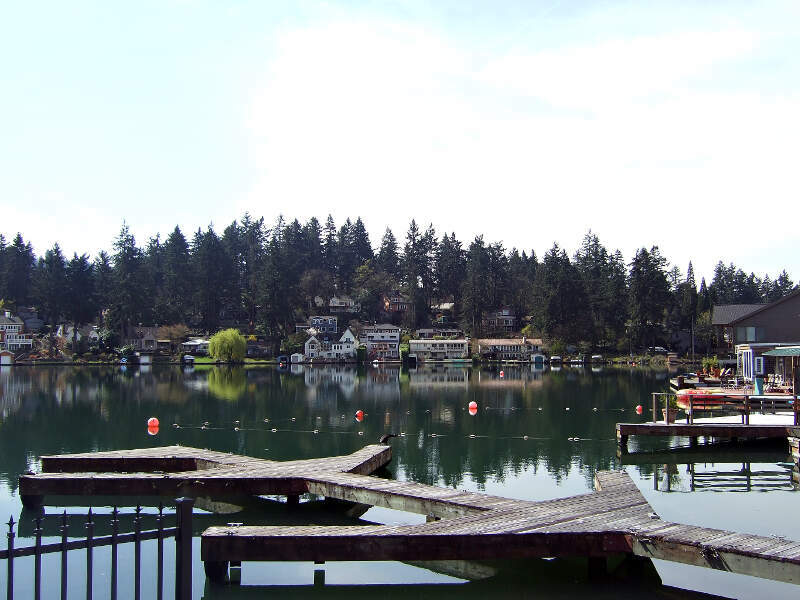 A suburb of Portland, Lake Oswego is no stranger to our lists. In addition to moving up on our ranking of the safest places to live in Oregon to number two this year, it also ranked as the best place to live in Oregon for 2018. But there's a slight catch to living a place this awesome -- cost. It's one of the richest cities in Oregon which translates to a median income close to $90,000 and median home prices around $500,000. Another possible reason it has the second lowest violent crime rate in the state? Clackamas County is secretly how to Kris Kringle. I dunno, just saying. The very first article I wrote for this site back in early 2015 featured Sherwood prominently -- it was a top three best place to live in Oregon for that year. And now, it ranks in the top three safest in Oregon for the second year in a row. Located southwest of Portland, the city has the third lowest violent crime rate in the state. A solid economy and a better than average poverty rate probably help to keep crime rates low here. I know for the first three I've been reminiscing about lists of HomeSnacks past, but Umatilla is a new for me. Jumping up three spots this year Umatilla boasts an incredibly low property crime rate. And interestingly, it's economy isn't nearly as strong as the others on this list, but it still manages to keep crime low. At just a tick over 7,000 people, it could be that everyone in town is friends. And you'd never steal from your friends would you? 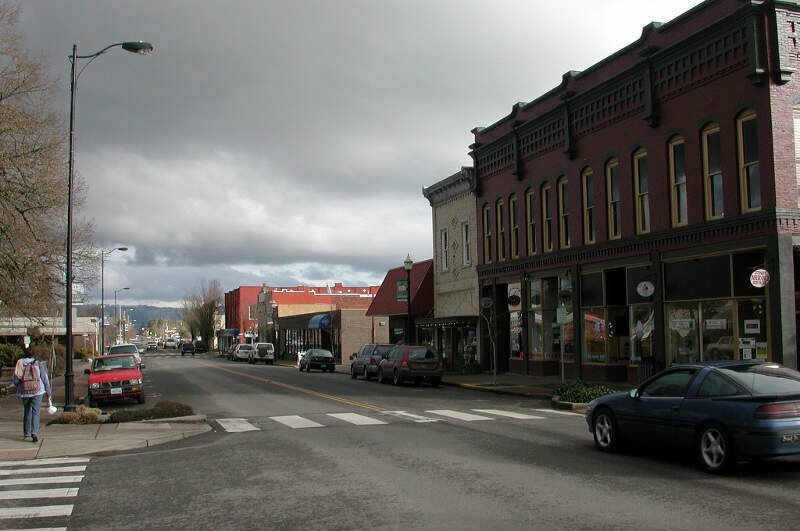 Another smallerish city, Scappoose breaks into the top ten safest for the first time this year and that's actually kind of a big deal for it. You see, Scappoose has been finishing just outside the top ten for years in our rankings. It has ranked 11th for safest, 19th for best, and low 20s for richest last year. But today, it's Scappoose turn in the sun thanks to a big reduction in property crime for 2019. The city of some, would you believe, 7,000 people is located in what is essentially Washington State on the western side of Oregon. 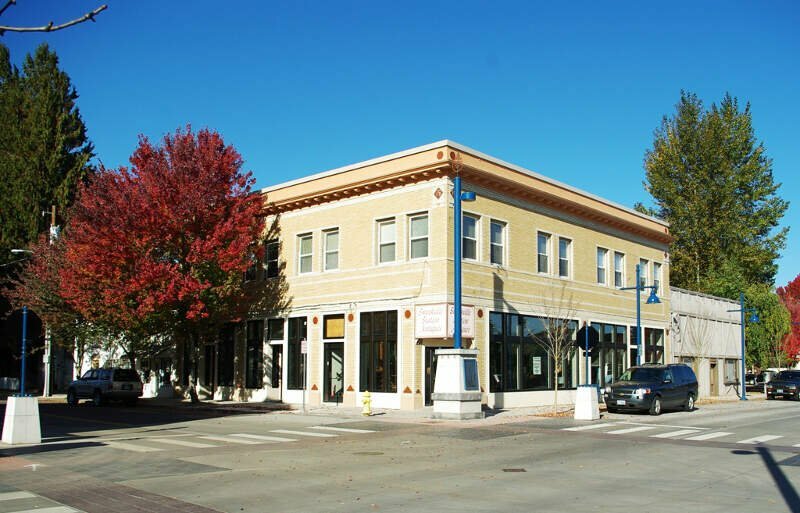 Monmouth is monumentally safe, at least when it comes to places to live in Oregon. The city had a seventh place finish for both property and violent crimes which drove it up seven spots from last year. Is that a coincidence? Probably, but it would be more exciting if it was some higher level cause. One of the first places not located right on border of the water or Washington state, Monmouth is part of the Salem Metropolitan Statistical Area. The thing to do in town to stay safe? Grab a glass of wine from one of the many vineyards. Monmouth is a beautiful town with a lot to offer..but it is in fact a college town. The numbers are going to be drastically lower in the categories your looking for because of that. I've lived in Monmouth\ independence my entire life and you will not find a better town in Oregon. The people are friendly, the crime rate is much lower than the other towns listed, it's a cute little town and is townies are happy as clams with it. 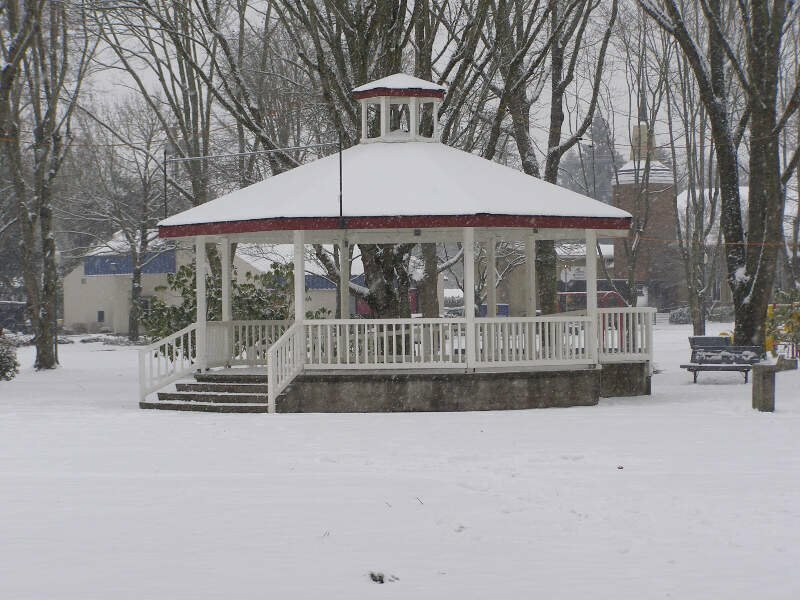 Canby can be one of the safest places in Oregon this year if it just puts it's mind to it. The city fell a spot from last year to the seventh overall ranking. That placement is thanks to a sixth place finish for property crime rates. That safety ranking also leads Canby to be a great place to live -- scoring a 9 on our SnackAbility score and in the top 15% of cities country wide. And this isn't a psychic's report to swindle you, it's based on the cold hard data. Oh thank heavens it's St. Helens! The eighth safest city in Oregon, the city boasts significantly lower than average rates of violent crime and property crime for its size. Located in the Northwest part of the state, it's literally movie level quality picturesque -- Hollywood uses the city frequently as the background of movies such as Twilight. And all that fame hasn't gone to St. Helens' head, it has the humility of a saint you see. Isn't it grand to see La Grande on the ranking this year? 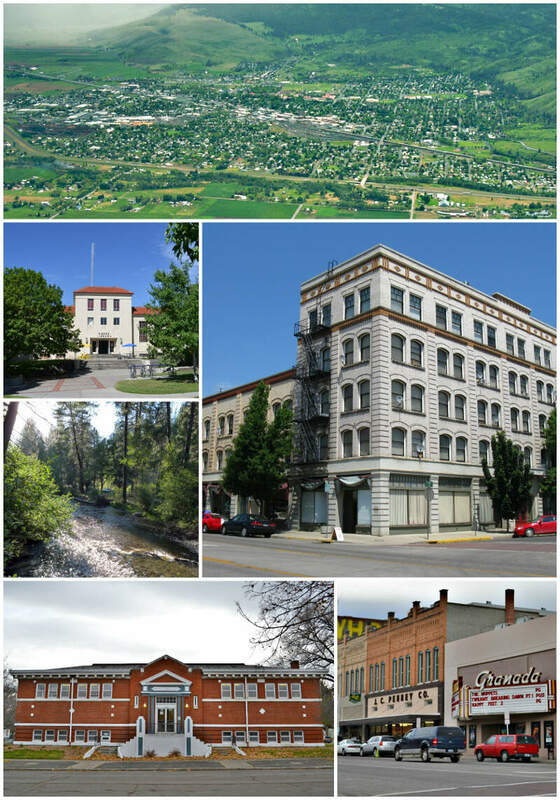 Much like St. Helens, La Grande moved up sixteen slots thanks to a much improved violent crime rate. La Grande lies east of the Blue Mountains and southeast of Pendleton. And while I used the name as a pun to start this off, it gets its name from the fact that it's a beautiful place to live. A beautiful safe place to live that is. Rounding out the top ten safest places to live in Oregon is Beaverton. Another city that's quite common on our lists, it ranks in the tenth spot here for the second day in a row. The biggest city in the top ten by a wide margin, it too is a suburb of Portland. There's a pretty big (relative) gap in safety from the top of the list and this tenth position. Beaverton is quite a big safer than average, but only broke the top twenty for both our statistics. It's property crime rate is the eleventh best in the state and violent crime is 18th. So what does this mean? There's room for improvement for next year -- when Beaverton has had time to dam up it's problems. Looking at the data, you can tell that Junction City is as safe as they come, according to science and data. But as most Oregon residents would agree, almost every place here has its safe and not safe parts. So just make sure you're informed ahead of time.